The event itself was for a book about Lush's background being launched. We go tot meet the writer and publisher who were both really passionate about it. I'm really looking forward to having a proper read and finding out how lush came to be! Apart from that I actually learnt so much about loads of products last night, I felt really well informed, all the staff there were so helpful and knowledgeable. I left the event with one of the best goodie bags that have ever received, I think most of it was part of the valentines day range and included two of the gift boxes plus lots of back bombs, ballistics, massage bars, shower gels and loads more, not to mention on of the girls there gave me a load of samples that she'd picked out for my hair specifically so here is my Lush Haul. I will hopefully be going separate reviews of each product and the book when I get around to using each of them! I'll start off with the gift boxes! I received Toucan Love and Neon Love. The second and bigger of the two is Neon Love, This comes with From Dusk 'Til Dawn Massage Bar, FUN - Red, Turkish Delight Shower Smoothie and a Neon Love Soap. These are all new products to me so I'm looking forward to trying them all out! Especially the FUN bar, apparently it is a 4 in 1 thing and can be used as a solid shampoo, bubble bar, soap, and as a toy, its like play dough. She also talked me though this strange thing as I think she saw how baffled I was when I picked it up. Apparently its a solid shampoo, who'd have thought?! She showed me, 3 rubs on to the scalp and everything foams up, it can last up 80 washes. Next, I got a little bottle of Prince Charming. I've seen alot of hype about this on twitter and since using snow fairy its a nice familiarity to me! It's something that I can also use without having to think about how haha. 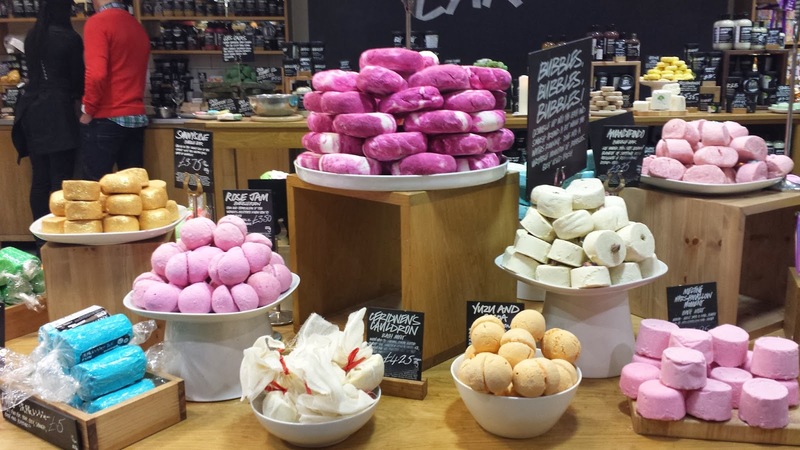 and lastly the bath bombs, ahh more familiar territory! I have a blackberry bath bomb which is an original and a Love locket which is part of the valentines day range! This has a few layers which begins with heart confetti. This one I'm excited to try! I'm really looking forward to trying each and every one, so keep a look out for lots more posts to come! Please let me know if you have ant recommendations! I'm a girl obsessed! Have You Bought Anything From Lush Lately? you're so lucky! 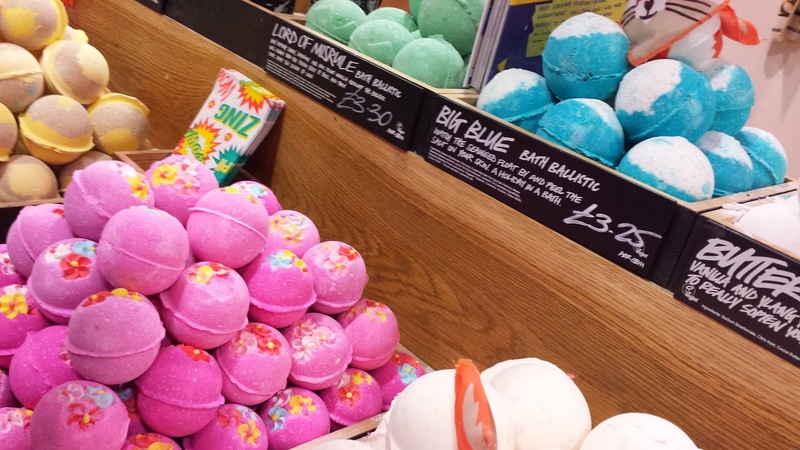 I love Lush so much, it's one of my favourite places to shop. Bath bombs are definitely my favourite!